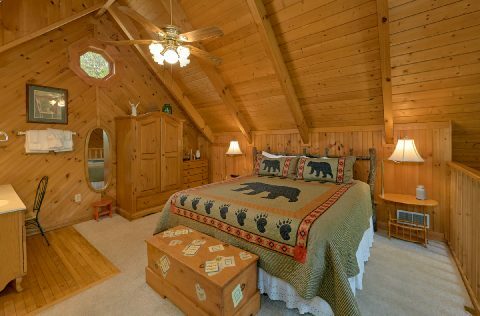 Come experience this romantic, 1-bedroom honeymoon cabin rental in the Smoky Mountains is nestled near Pigeon Forge and Wears Valley! 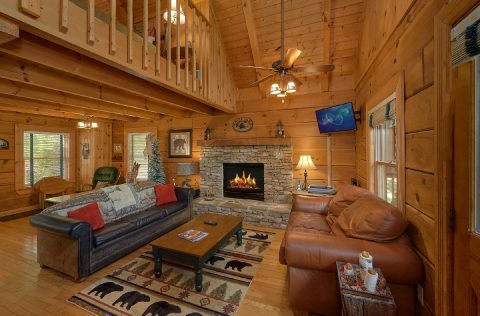 With a great location only minutes from the Parkway, this cabin getaway offers guests the chance to experience Smoky Mountain settings and nearby fun attractions. 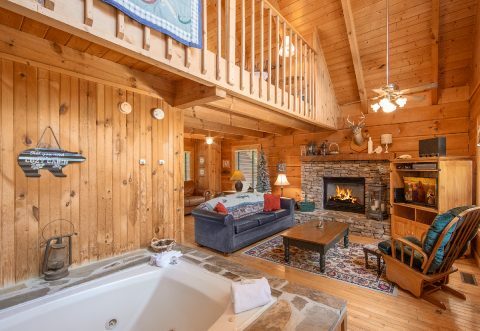 This Smoky Mountain cabin with views close to town offers a great lineup of romantic amenities. 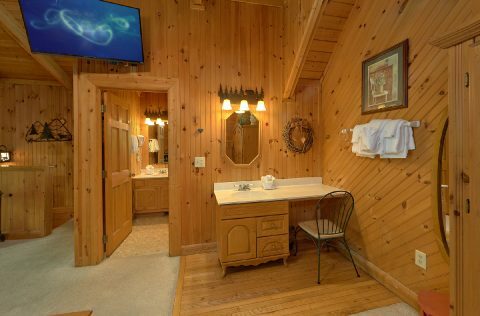 Whether you are enjoying a relaxing soak in your cabin's hot tub or just taking in the scenery, you'll be glad you rented a cozy honeymoon cabin in the mountains for your special trip. 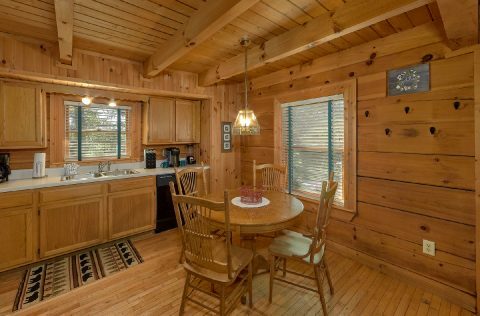 This 1 bedroom cabin sleeps up to 4 guests with both a king bedroom and a sleeper sofa in the living room. 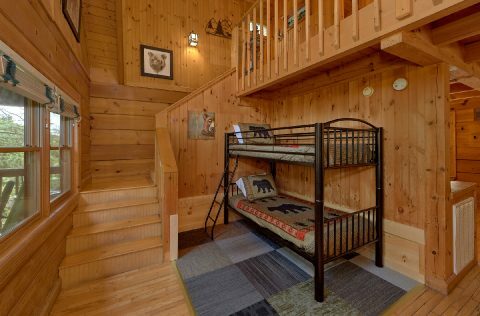 The additional sleeping space is great for families with children who are looking for an affordable way to experience the Smokies in comfort. 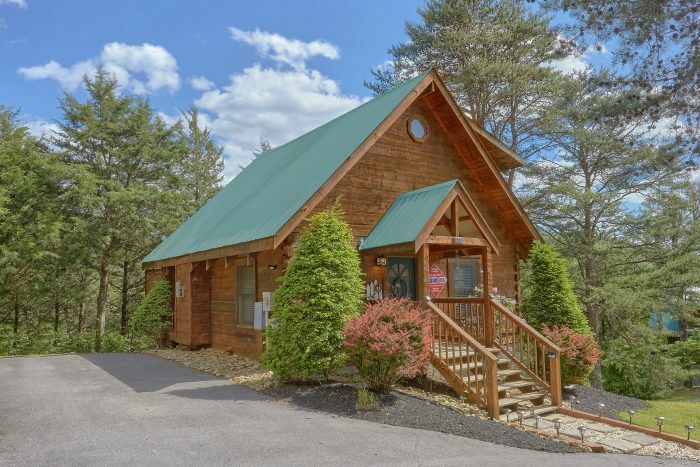 Better yet, a small family will love this great location that keeps them close to dozens of kid-friendly attractions in Pigeon Forge. 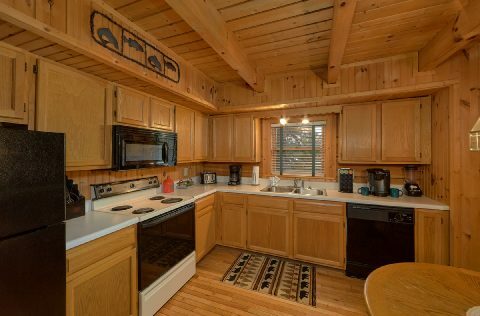 For an evening of romance, why not prepare a delicious dinner for two with your gas grill and fully-equipped kitchen? 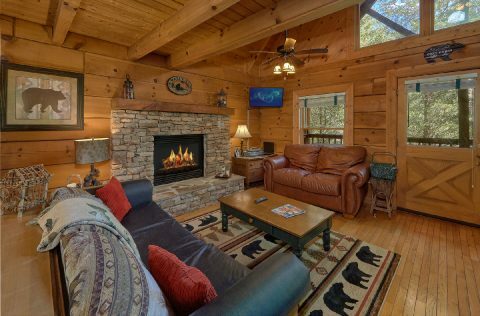 After dinner, you could enjoy your cabin's deck and appreciate your cabin's view. 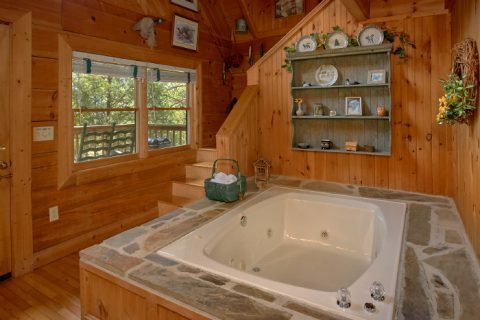 Before bed, you and your sweetheart could take a relaxing bath in your 2-person jacuzzi tub in the master bedroom area. 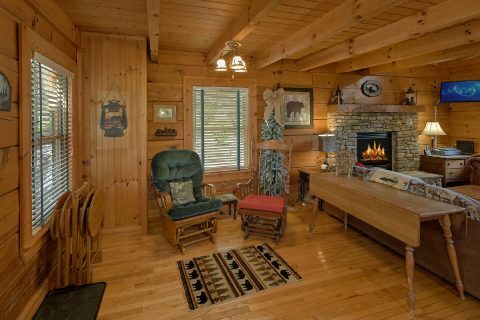 With WiFi, a seasonal, gas fireplace, and a cozy cabin interior, your log cabin in the mountains comes with all the comforts of home and more! 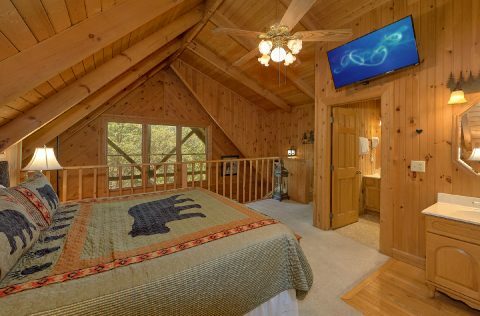 Book your 1 bedroom honeymoon cabin rental in the Smoky Mountains with Cabins USA Gatlinburg and save with our discount of 15% on your lodging! 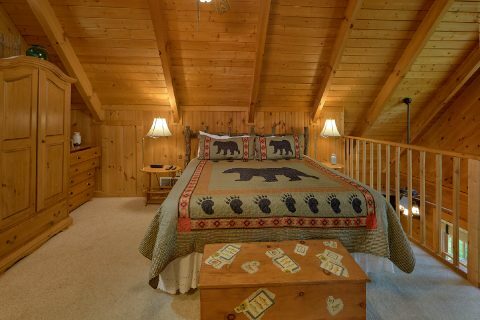 Enjoy a truly affordable and romantic stay in the Smokies near Pigeon Forge and make treasured vacation memories for you and your partner!